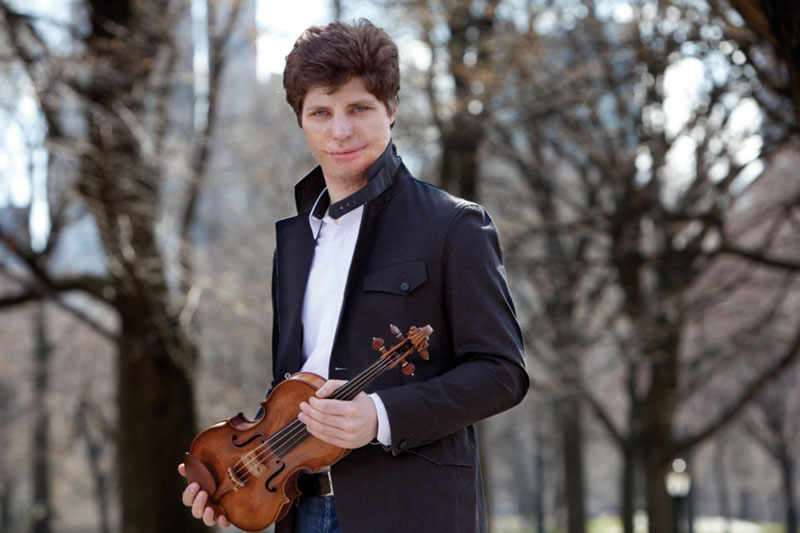 VAIL – Augustin Hadelich was told he would never have a career as a violinist. Tonight, he is a soloist with the New York Philharmonic. When Hadelich was 15 years old and already well into becoming a professional violinist, 75 percent of his body was burned during a tractor fire. His doctor told him he would never play the violin again. Saturday night, he proves that doctor wrong, again.The Bravo! Vail Valley Music Festival presents German Masters at 6 p.m. today at the Gerald R. Ford Amphitheater with the New York Philharmonic under the baton of Alan Gilbert. This is the second concert in the orchestra’s six-concert residency with the festival this summer. The evening begins with Mozart’s Symphony No. 25 in G Minor, a powerful start to the night, and continues with Mendelssohn’s Concerto in E Minor for Violin and Orchestra, a technical but yet serene and spirited piece. This was originally scheduled to feature violinist Nikolaj Znaider, but due to an illness, Znaider had to cancel and Hadelich is now performing.Hadelich is no stranger to the music world. He has established himself as a rising star with his poetic style and dazzling technique. The Juilliard graduate has played alongside the world’s finest orchestras and is a celebrated recitalist. “The first time I played the Mendelssohn concerto in public was in 1993, when I was nine years old. Since then, I’ve put it down many times, only to return to it with renewed energy and trying new approaches,” says Hadelich. “The piece has always been close to my heart, and is one that I can’t imagine ever getting tired of.”After intermission the program continues with Schubert’s harmonic and bold Symphony No. 8 in B Minor. The evening concludes with Wagner’s Prelude and “Liebestod” from Tristan & Isolde. The dramatic and lush orchestral work charts the psychology of the opera, which explores the primal nature of love. Tickets for tonight’s concerts range from $23 to $85 depending on seating preference and can be purchase at 877-812-5700 or http://www.vailmusicfestival.org. Children 12 and under receive free lawn admittance.